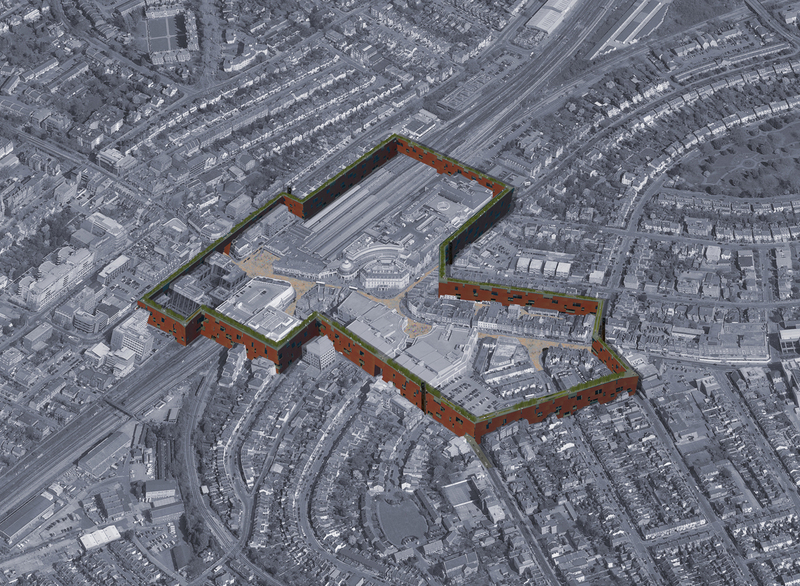 The Wall for Wimbledon has been inspired by a number of precedents: most evidently, and aesthetically, from the medieval walled town. 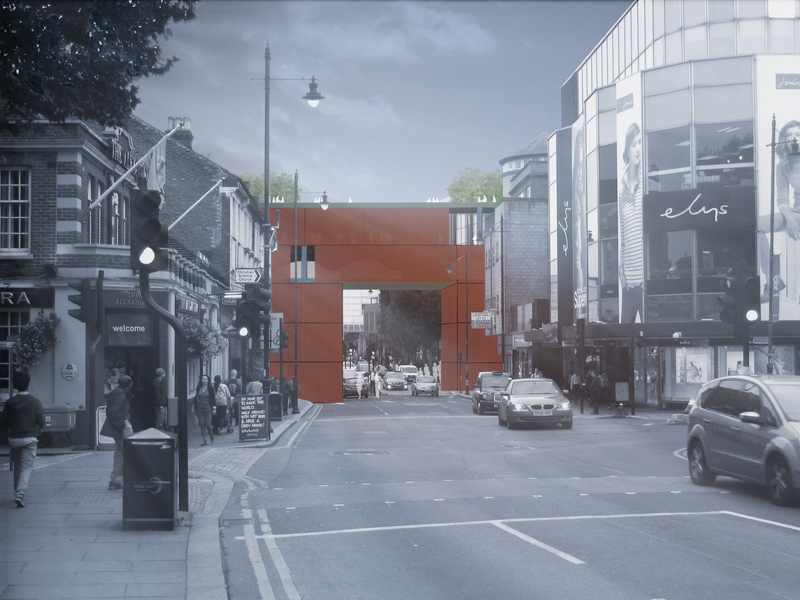 26m high at its highest point and clad in staggered panels of distinctive open-coursed red brick, the Wall encloses and dramatically cuts through Wimbledon town centre, redefining and re-establishing the heart of the town. Principal vehicular gateways at the Northern and Southern ends of The Broadway define esplanades in the immediate areas inside the wall while strengthening the identity of the areas outside. To the north the shopping district around Ely’s will be reinvigorated. To the south The New Wimbledon Theatre once again becomes the heart of a theatre district. 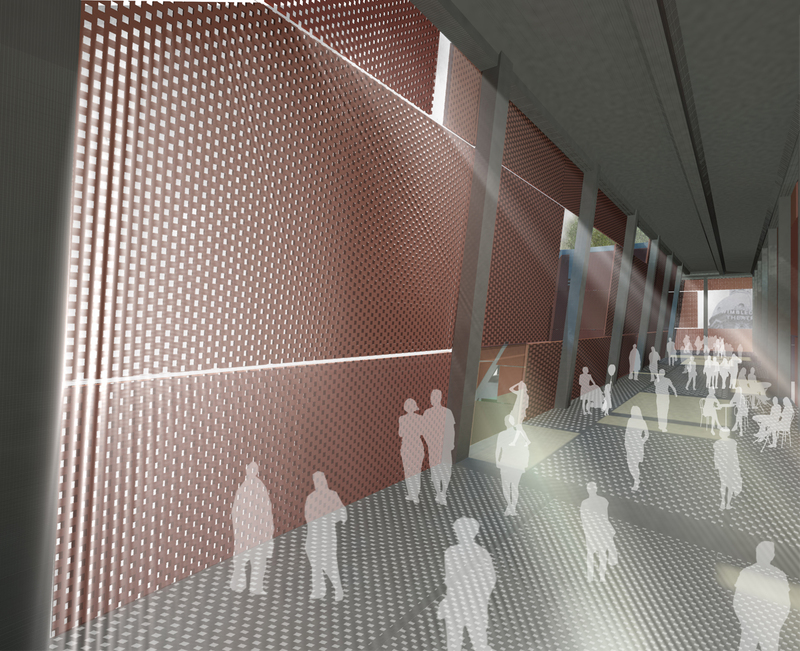 Secondary gateways focus and add coherency to the Morrison’s development and Centre Court. The Wall also takes inspiration from towns where enclosure is less about defense and more about the definition of a character, such as the Medinas of North Africa. In Split, Croatia, Diocletian’s palace was reused to create a city centre within a city around which all other places revolve and evolve. The unique architecture of the palace reappears at intervals to reinforce the identity of the differing spaces. 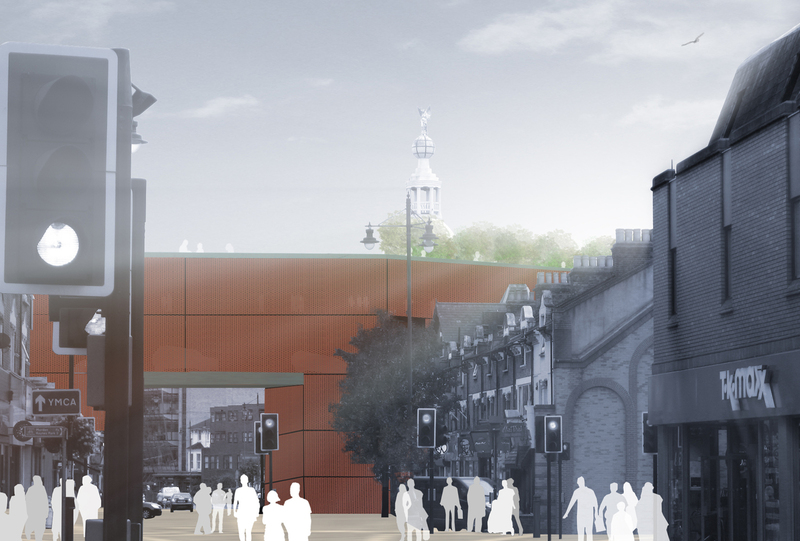 The Wall for Wimbledon aims to unify the many unremarkable, blank facades of the larger commercial developments creating a unique coherency. 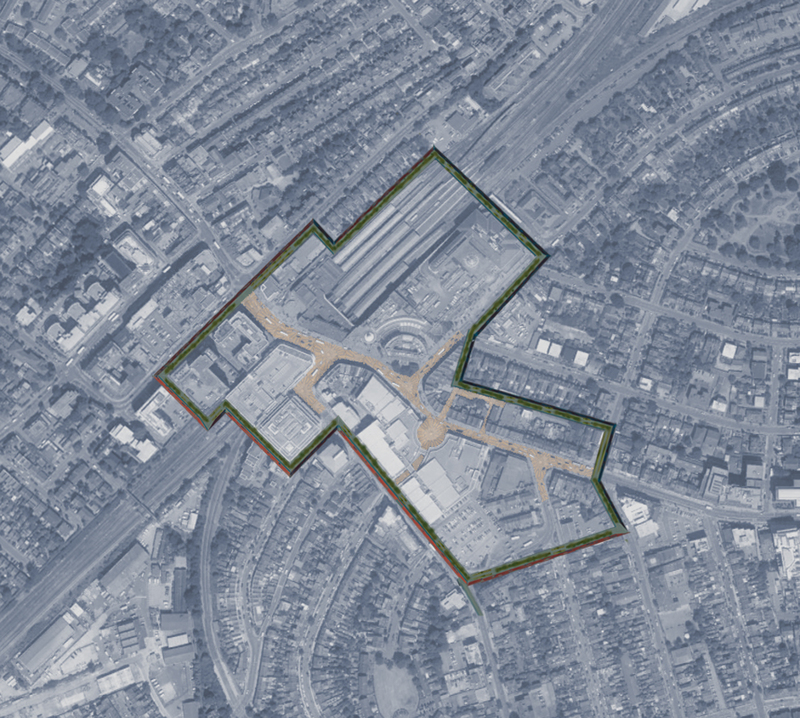 The top of the Wall for Wimbledon is proposed as a linear park, similar to New York’s Highline, elevated above the town to maximise the open space and provide views over the town and across to the hill, a rare occasion for town residents to look down on the village.